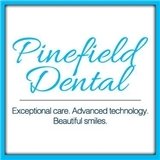 Pinefield Dental (Waldorf) - Book Appointment Online! At Pinefield Dental, we value our patient relationships, making it our priority to deliver gentle compassionate care that you deserve from a dentist in Waldorf. We work hard to make you feel at ease by providing exceptional patient care in a relaxed, convenient atmosphere. We strive to develop lifelong relationships with our patients by combining the latest dental technology with a professional and compassionate staff. The result is a beautiful, healthy smile that lasts a lifetime. This Office does not accept any State Insurances. Dr Rehder and his staff are terrific... very professional yet friendly for a chat.